The food: Baking bread is the greatest smell on Earth. 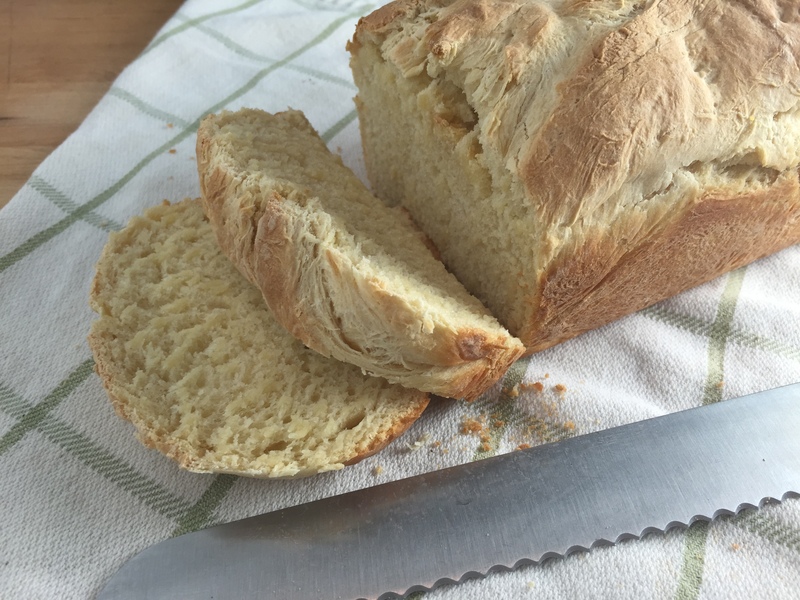 For many beginner cooks, the idea of making bread from scratch is downright scary. Take a deep breath. 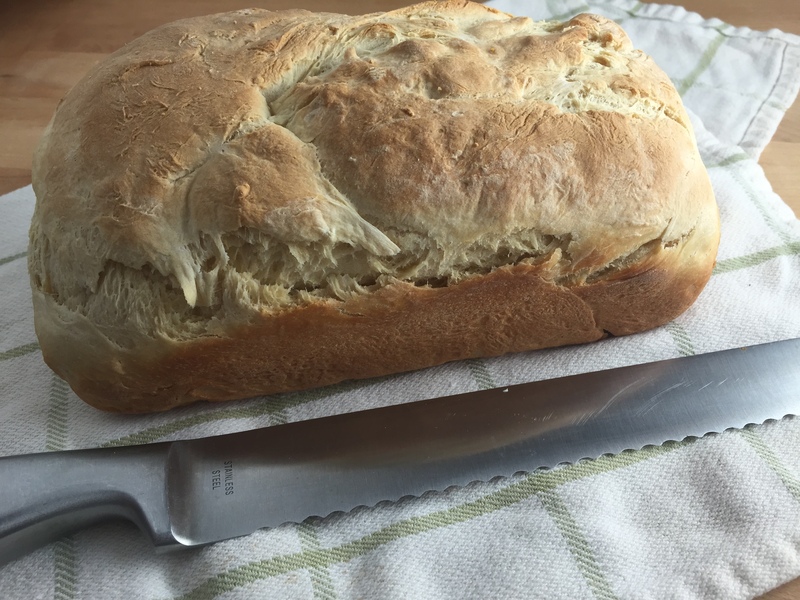 I’m a novice here to tell you that homemade sandwich bread is not so difficult, especially when you use this basic recipe. Yes, it takes a lot of time, but that will just make you appreciate the result even more. And I promise the result is so much tastier than a store-bought loaf. The music: Listening to Bread while baking bread is a bit cliché, I’ll admit, but it is truly the perfect pairing. This 70s band is the quintessential easy-listening act—I mean, look at their hair and leisure suits! 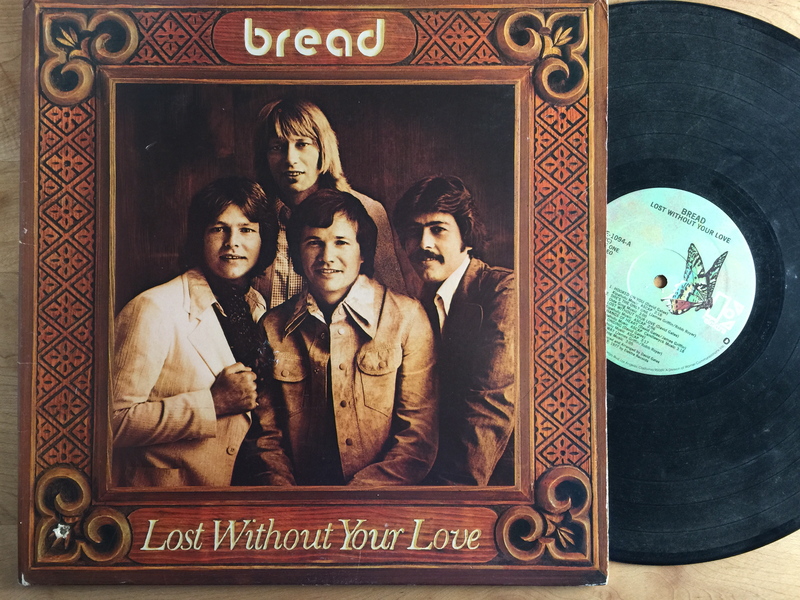 I wouldn’t begin to claim that Bread is one of the greatest bands, or even a great band, but their smooth vocals and no-frills instrumentals will keep you in a calm mindset during the long, meditative process of baking bread. This 1977 album, the band’s last, is missing their biggest hits (remember “Baby I’m-a Want You” and “Make it With You”? ), but offers up 11 songs that are pretty easy on the ears. 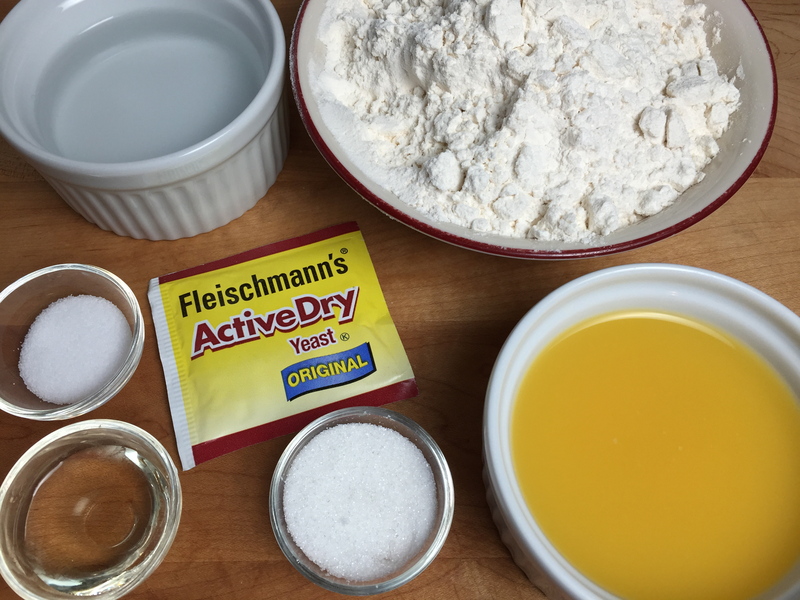 Homemade sandwich bread is made with just a few staples (below). Two important things to note: Yeast is what makes bread rise, so don’t forget it! Also, I suggest using bread flour rather than all-purpose flour. In fact, the two are fairly interchangeable. Bread flour has more protein to assist gluten development, which means you’ll get a chewier, denser loaf. If that’s not important to you, feel free to stick to all-purpose flour. You’ll do this process a couple of times, with breaks in between, before baking the loaf and giving your house a wonderfully nostalgic aroma. You can double the recipe to make two loaves at once (I highly recommend doing this because it makes you feel a little better about investing so much time). If you can’t eat the extra loaf quickly enough—though I can’t imagine why anyone wouldn’t—it makes a fantastic gift. Also, do yourself the favor of making French toast with this bread. You can thank me later. In a large bowl, mix juice, water, oil, sugar, yeast, and salt until yeast and sugar dissolve. Mix in 2 1/2 cups flour, half a cup at a time, to form a soft dough. 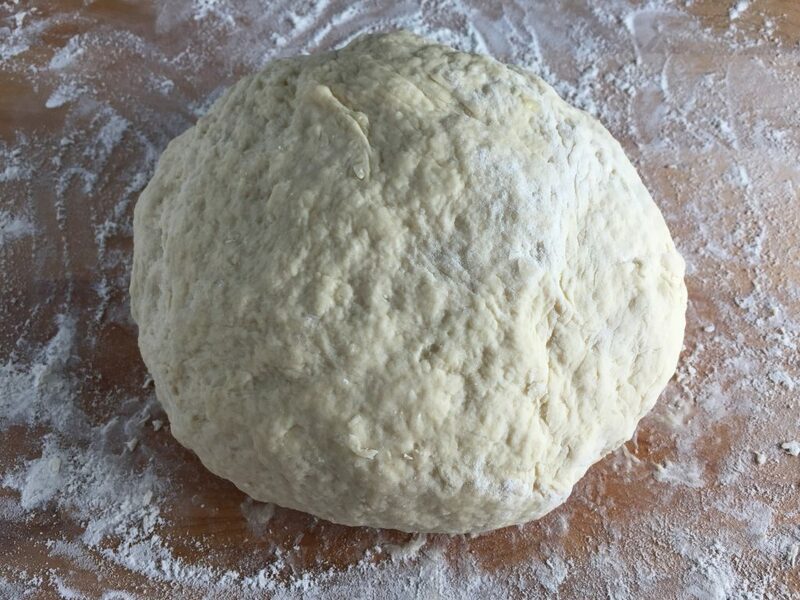 Place dough on a floured board and knead for about 10 minutes, adding more flour one tablespoon at a time, as needed. Form dough into ball and place in a greased bowl. Cover with a damp towel (not letting towel tough the dough) and let rise in a warm area for 1 hour. Punch down dough and place on floured board. Knead for 2 minutes. Shape dough into loaf and place in a greased loaf pan. Cover with damp towel and let rise 30 minutes. Bake at 375 degrees for 40 minutes, or until golden brown.